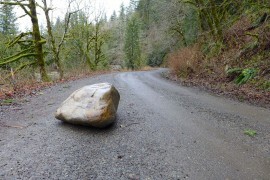 Sometime in the spring of 2013 a rock slide blocked the Middle Fork road about one mile before the Hardscrabble trailhead. 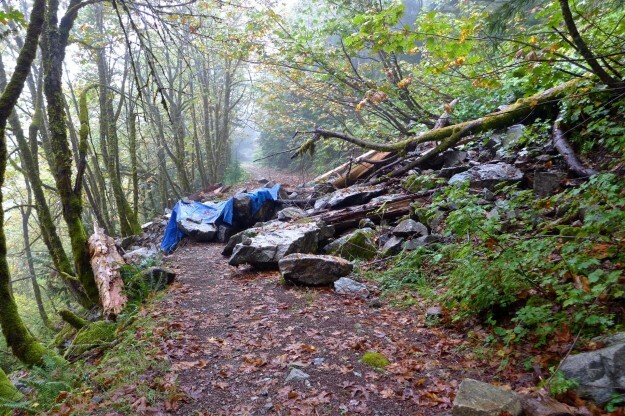 As explained in the linked post, the USFS is committed to keeping a 40″ wide path open. 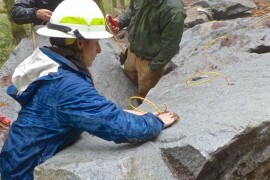 So on September 18, 2013 a Forest Service crew spent a full day blasting the bigger rocks and rolling the smaller ones to clear the rock slide. This movie was made with two cameras mounted near the the blast site with additional audio edited in from the radios used to coordinate the closing of the trail for safety concerns. 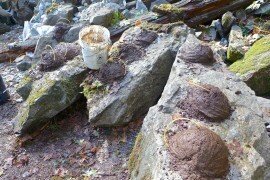 This entry was posted in Hardscrabble, Middle Fork Road and tagged road, rock slide, USFS on 2013/09/18 by mvanderbilt. Some time this spring as the upper Middle Fork Valley melted out, tons of rocks fell from cliffs just over a mile from the Hardscrabble trailhead. 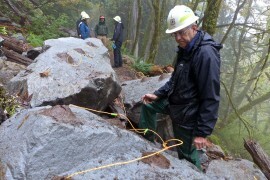 A few of the rocks are too large to be pushed or winched off the road, so blasting is planned for sometime in the first half of August, 2013. 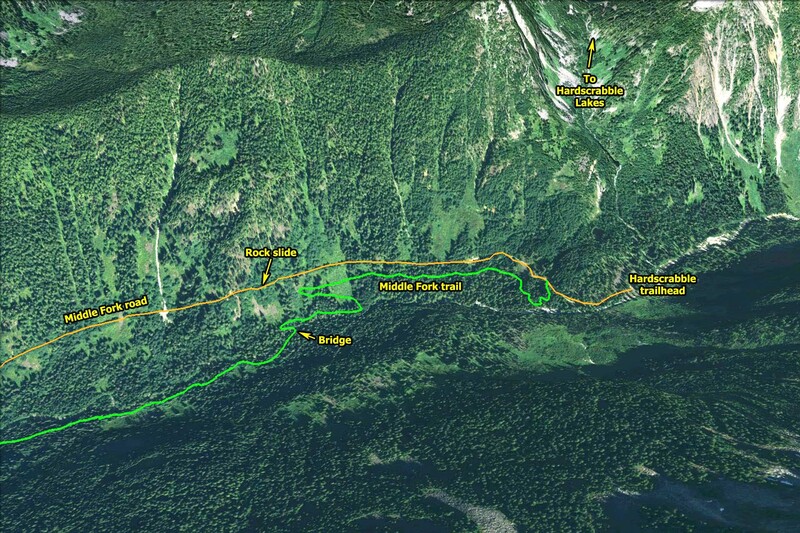 Expect both the road and Middle Fork trail beyond Goldmyer to be closed. The trail passes directly under the rock slide site so hikers and bikers would be in the line of fire of huge boulders rolling down the side of the valley. 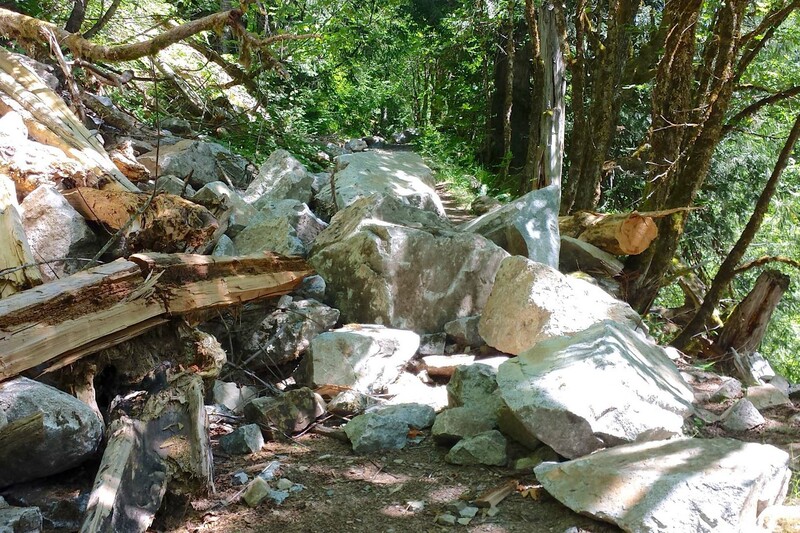 Under the 2005 Access and Travel Management plan, the Forest Service is “required to perform all maintenance required on the segment used as a National Forest System trail.” In this case that probably means clearing enough rocks for a 40″ wide passage. 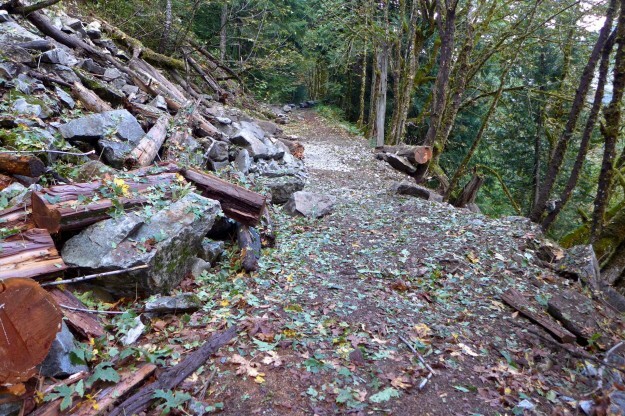 Some of the inholder’s mining claims are beyond the rock slide, so they may assist with the cost of clearing a wider path to maintain access for vehicles. 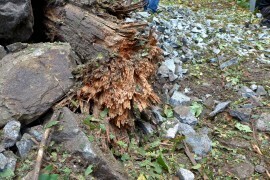 This rock slide is several miles beyond the Goldmyer turn-off, so access to the hot springs is not affected. Mining Claimants will be given a key to the Dingford Creek gate and granted motorized access to their mining claims. 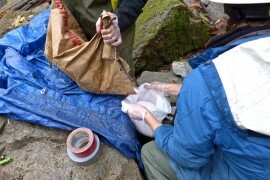 They will not be required to perform maintenance, but will be allowed—at their choice and expense—to complete routine maintenance that will allow their continued motorized access. 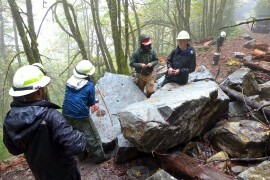 This will include cutting falling trees, removing rocks or brushing the private road/trail. 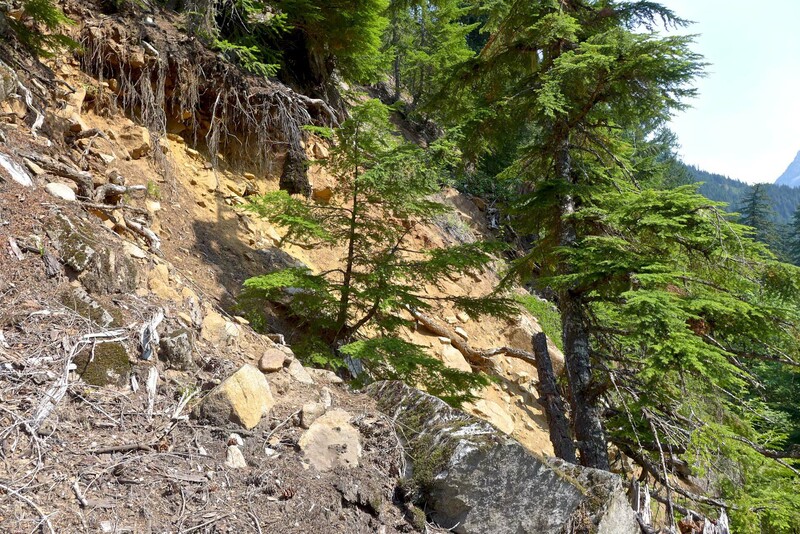 If other than routine maintenance will be needed for their continued motorized access, claimants will first propose the work to the Forest Service, via either a notice of intent or a plan of operations related to their mining claims. Any work will be considered to be an integral part of their mining activity and will be process under the Forest Service’s mining regulations at 36 CFR 228, subpart A. 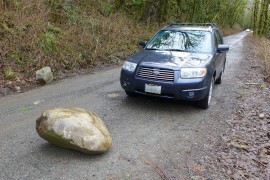 This entry was posted in Hardscrabble, Middle Fork Road and tagged road, rock slide, USFS on 2013/03/01 by mvanderbilt.